NextInsomnia: How Do You Score? You can train to run a marathon. You can train yourself to recognize Chopin. But can you train yourself to sleep (or train yourself not to have insomnia)? Michael Schwartz, creator of the Sleep On Cue iPhone app, says yes. But why do insomniacs need to learn to sleep when for most people sleep is effortless? The idea of sleep training is based on intensive sleep retraining (ISR), an insomnia treatment originally developed by sleep researchers in Australia. It grew out of sleep studies showing that many insomniacs fall asleep more quickly and sleep longer than we think we do. Schwartz has observed this phenomenon firsthand in his work as a registered sleep technologist in the United States. The question of why so many insomniacs tend to underestimate sleep time has not been definitively answered. 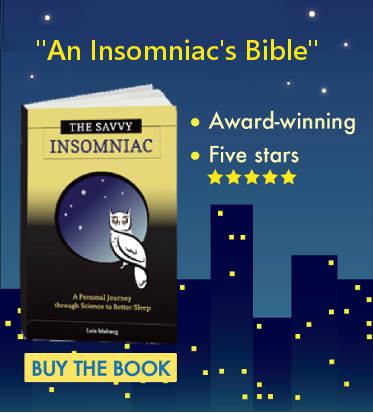 ISR proponents suggest that insomniacs’ trouble sleeping is conditioned, resulting from poor sleep habits, worry about sleep loss, and negative beliefs about sleep. Eventually we lose touch with what falling asleep actually feels like. 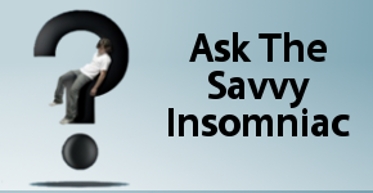 So the goal of treatment is to retrain insomnia sufferers in the experience of falling asleep. Proponents claim that sufficient practice (within the prescribed protocol) will make our perceptions more accurate (i.e., more in sync with objective sleep tests, which indicate we’re sleeping longer) and restore confidence in our ability to sleep. The ISR treatment as originally prescribed is short but onerous. You spend 25 nearly sleepless hours in a sleep lab. Every 30 minutes, you get a chance to fall asleep (and if you fall asleep, you’re woken up). At the end of the 25-hour period, you’ve had lots of practice falling asleep . . . and you’re very sleep deprived. But after the initial 25 hours the benefits of ISR are immediate. With loads of sleep pressure built up by the next night and instructions on how to proceed, insomniacs who undergo ISR have experienced improved sleep starting at Day 2. The gains continue, research has shown, for at least 6 months. An insomnia treatment that involves wiring patients up in a sleep lab and round-the-clock supervision by sleep technicians is very expensive (which may be the reason nobody’s doing ISR in the United States). So when a call came out to get ISR out of the lab and make it available to insomniacs at home, Schwartz went to work. “After reading the ‘call to action’ article by the notable insomnia researchers, I began thinking about how to detect sleep onset without expensive amplified EEG recording,” Schwartz said. He came up with several ideas before landing on the idea of an iPhone app. You lie down in bed holding your iPhone. Each time the phone emits a tone, you shake it slightly. If the app doesn’t detect a shake, it assumes you’re asleep and vibrates to wake you up. A message then comes on the screen: “Do you think you fell asleep?” You press yes or no. You’re then instructed to leave the bed for a few minutes. The phone vibrates again to indicate when to return to the bed for the next sleep trial. You decide when to end each training session. The screen then displays a graph with information about your sleep ability and your awareness of your sleep. The Sleep On Cue protocol is very similar to the ISR protocol, allowing for repeated, short sleep onset opportunities with sleep–wake estimation and confirmation. But Schwartz felt he needed to make ISR more palatable for home users. “So I decided to reduce each sleep trial time slightly after each successful sleep attempt, as well as to prompt the user to leave the bed for just a couple minutes between sleep trials,” he said. “These two features allow more sleep trials in a shorter amount of time. Testimonials on the Sleep On Cue website suggest the app has been helpful for users, including users coming off sleeping pills. According to Schwartz, tests verifying the accuracy and clinical effectiveness of a modified version of the app are under way in Australia right now. If you try this app, let us know how you fare. Appreciate you sharing information about my app Lois! I’m glad to share information when it’s tied into good research, and your smartphone app seems to be. Best of luck with it now and through the holidays! Insomnia: How Do You Score? Is Low BDNF a Marker of Insomnia?